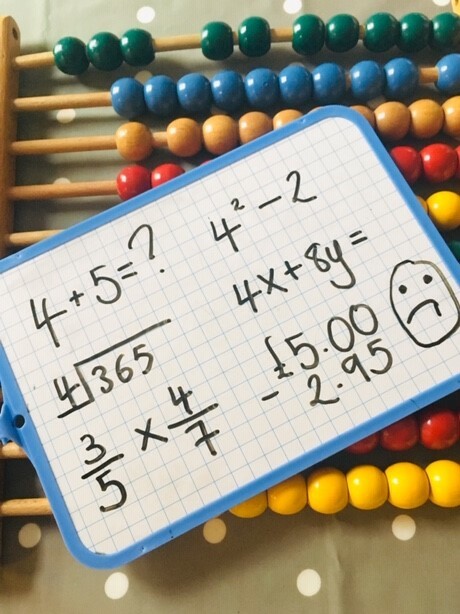 More than any other subject, maths can induce real anxiety in adults and children alike. ‘I hate maths’ is heard much more often that ‘I hate English’, and given that pupils spend at least an hour a day studying the subject from the ages of 4-16, making sure they enjoy it is pretty important. So why might your child hate maths? And what is the solution? Teacher Annabel from Bella Learning looks at the possible reasons and what parents can do about it…. The confusion when you don’t understand a mathematical concept is like no other but often, it’s as simple as a knowledge gap. If a child has either missed, or not understood a key concept, no further teaching can be built on that rocky foundation. Having the method explained to them, in a clear and concrete way, can quickly get them back on track and enjoying the subject again. Solution: Find out from your child what they don’t understand and sit with them to explain the concept 1:1. If you are not sure yourself, ask an older child or tutor to support them. Always ask the teacher for catch up work if they have been absent from school. Having to work out number facts in your head or on your fingers every time you approach a problem is enough to put anyone off the subject. Number bonds (knowing off by heart the numbers that add up to 10, 20, 100 etc) and times table facts are really important in primary maths, as speedy calculatiing relies on having this knowledge at their fingertips. Pupils often think they aren’t good at the subject when actually, they just need to practise the speed at which they can access these facts. Remedying this can transform their relationship with maths. Solution: Make it your mission to help them learn the number bonds, doubles and halves, times tables and decimal facts through fun games and competitions at home. Behind every child that hates maths, there is often a parent who hates it too. Hearing Mum or Dad say ‘I was terrible at maths too’ leads to the idea that being competent at maths is something that you are either born with or not – which couldn’t be further from the truth. Just because you struggled with maths at school, doesn’t mean your child automatically will, especially as teaching of the subject has changed so much since you were at school. Solution: Try to keep your discussion of the subject positive and avoid comparing your experiences with theirs. Try a parent workshop to build your own confidence. If a child continues to be behind their peers after clear intervention and finds it difficult to retain simple number facts and patterns, it could be a sign of a specific learning need such as dyscalculia. Like dyslexia, having dyscalculia can really affect a child’s confidence and attitude to school. Solution: Ask to speak to the SENCO (Special Educational Needs Co-ordinator) at your child’s school to discuss your concerns and request an assessment. Specialised support should be put in place. Sometimes pupils might not like the subject because they find it too easy. Ensuring they are adequately challenged will help them to get that buzz when they find the answer. Solution: Ask your child’s teacher for some activities to stretch your child. Bella Learning offers workshops for parents, including ‘Calculations Explained’ on Saturday 27th April2019 in Chislehurst, London. We also support children and their families through our learning consultations. Subscribe to our newsletter for more supportive articles for parents of primary school students. For more articles like this, subscribe here.